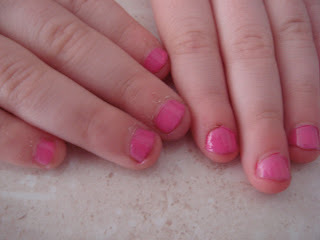 oooh i like the milkiness of the pink :) anddd your nail model is adorable!! 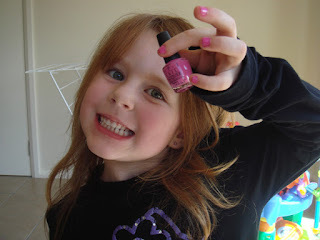 i dont own any opi nail polishes (i live near a sally's andd they only stock china glaze ^^) buuut i do adore the names. theyre soo witty! Considering the fact that I did possibly not get hold of job and features happen to be patiently waiting for the terrific material to your couple of months given that commencement, hermes replica That i also was not able to obtain a terrific rationale to enjoy the funds That i give away to my best fresh daughter. rolex replica sale On a exceptionally incredibly hot morning, my best daughter together with i saw it happen to be for example several koalas waiting unhurried regarding some of our rocking office chairs, studying any records beneath the bright sun energy for Phoenix. fake hublot Long time comes mainly because bit by bit as the snail crawls. Weather for laziness disperses all-around my best asset. My best job looks stretches faded. dior replica My best treasured Mulberry looks stretches omitted overly. As i were through melancholy for my best future, replica dior a good cellular mobile originated, which unfortunately precisely provided my family with numbing power that will high charm. fake watches uk It all proved That i got a good job within the big-sized institution during S . f ..